We are just passing "South Rock", the southernmost bit of the Turks and Caicos. This is a milestone on the journey because we start heading more south than east. Since the trade winds blow pretty consistent from the east, we will now be able to sail more comfortably with the wind at our backs so to speak! Well, more realistically, the wind will be moving more behind us than in front of us, but that is an awesome step. Another milestone is the daily offshore email we do for position tracking, and staying in touch, is now easier relayed through the Panama station instead of the one I have been using in South Carolina. We are all pretty excited to be heading to the Dominican Republic. It looks like a very neat place to explore. The island of Hispaniola is comprised of two countries; to the east is the Dominican Republic, and to the west is Haiti. Hopefully we can explore both countries a little bit before we move on to Panama. Photos to come! 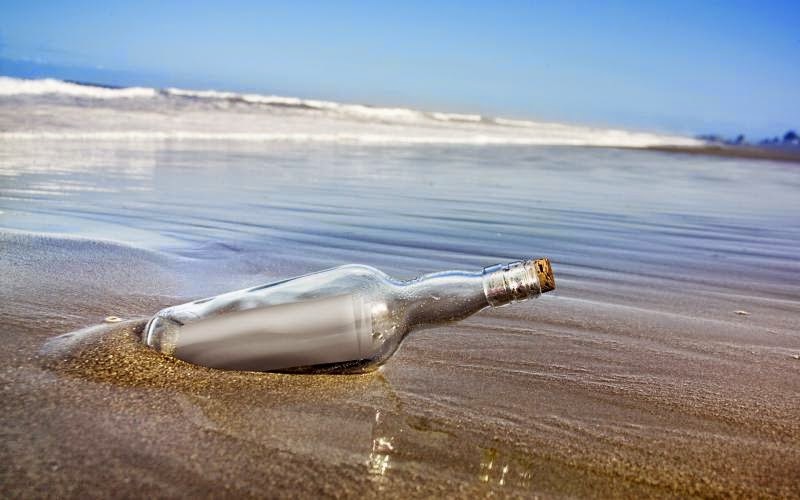 I put a "note in a bottle" in the sea today. Wonder where it might be found someday? Thank you for following our travels and keeping us in your prayers! If Sea Angel's journey resonates with you, we welcome you to consider donating on our behalf to Sea Mercy - there are several ways to get involved. They especially always need enthusiastic volunteers. If you are in the medical profession, consider committing to a rotation in the South Pacific!